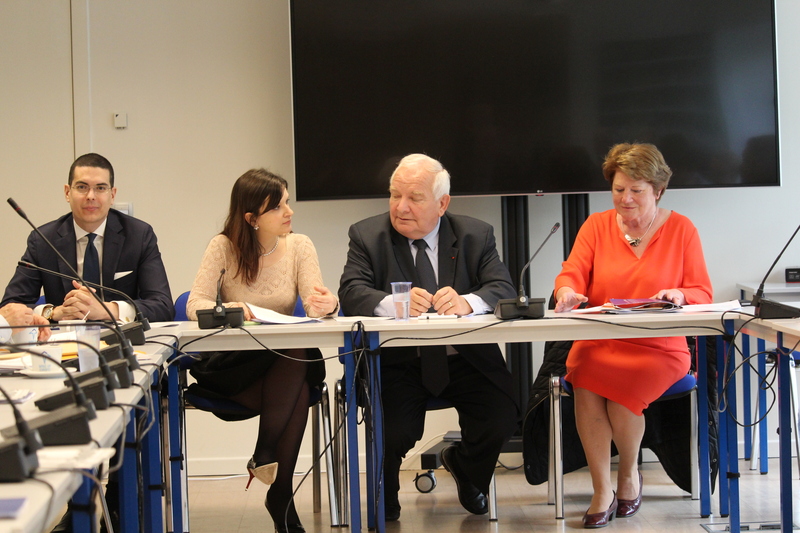 On 24 April during the presidium of the ESU, president An Hermans and, Andrianos Giannou, YEPP president, presented to the ESU presidium a common statement on Intergenerational Solidarity and met EPP president Joseph Daul. The president stressed the importance of having this kind of joint initiatives between youth and seniors’ associations, because, in order to tackle the challenges we are facing. ‘We need both to stick to our roots, learn from our seniors and to innovate by involving our youth. Seniors and young people face different problems but only by working together can we address them and build a stronger and more inclusive Europe to the benefit of all our citizens’ the president said. Campaign director Dara Murphy called on seniors and young people to engage in a common campaign strategy.